The demonic product of two probabilistic relations is defined and investigated. It is shown that the product is stable under bisimulations when the mediating object is probabilistic,and that under some mild conditions the non-deterministic fringe of the probabilistic relations behaves properly: the fringe of the product equals the demonic product of the fringes. E.-E. Doberkat. The demonic product of probabilistic relations. 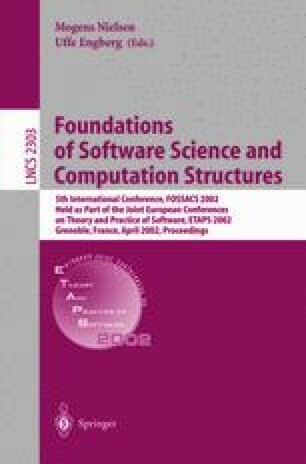 Technical Report 116, Chair for Software Technology, Univ ersity of Dortmund, September 2001. Available as Technische-Berichte/Doberkat SWT-Memo-116.ps.gz in directory ftp://ls10-www.cs.uni-dortmund.de/pub/.